For our third entry in the Alien: Covenant Trailer Analysis series, we analyze the wreckage of the crashed Engineer Juggernaut vessel featured in the first trailer for Ridley Scott's Alien: Covenant and how it could link to the original ALIEN. 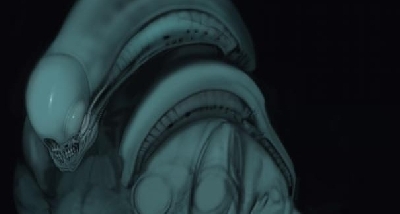 Previously, we covered our first official look at a baby Neomorph from the trailer as well as our first glimpse at David and why he's wearing an Engineer cloak. If you haven't read those analysis articles, I suggest you do! 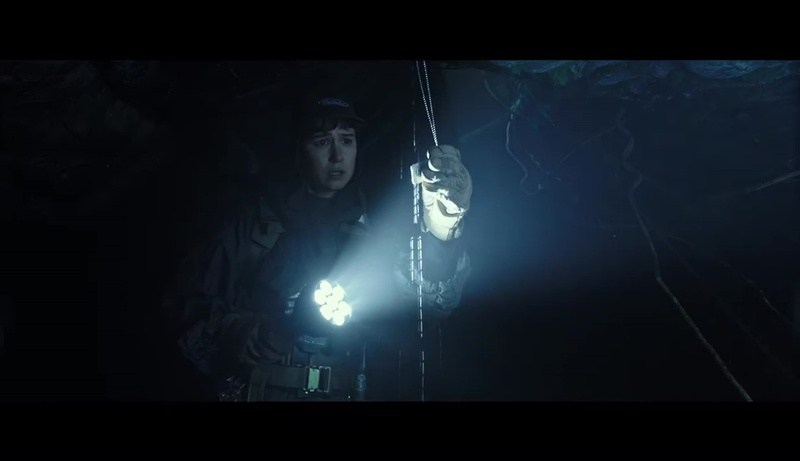 The Alien: Covenant trailer seemed to tease a few major key moments from the film and like the Neomorph cut-scene, if you weren't paying close attention you might have missed some big clues. Upon exiting the Covenant shuttle, Walter (the other Android played by Michael Fassbender) leads the crew on a quick surveying mission of the new planet. They seem to have picked up on a beacon (like in ALIEN) which leads them to a very familiar ship - an Engineer Juggernaut. This was the ship Dr. Shaw (Noomi Rapace) and David (Michael Fassbender) used to escape LV-223. The actual journey with Shaw and David to this planet is not seen on-film, but clues will be shown throughout the following sequences which give an idea of what transpired while the Covenant was travelling through space towards the beacon left by Shaw / David. As you can see also, David did not perfect the landing job. Juggernauts / Derelict space craft seem to have a hard time landing gracefully - every documented moment involving a "landed" Juggernaut have always resulted in the craft being violently crashed on a planet's surface. A few cut-scenes give us a bird's eye view of the Juggernaut interior as the Covenant crew make their way through its Orrey chamber (Map room / Pilot room). You can see the Engineer chair and the Pilot's Chair highlighted by the crew's flashlights. 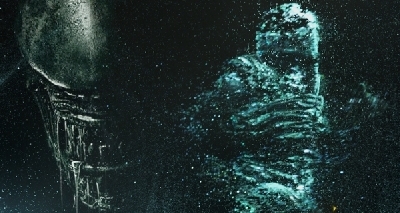 Shaw's existence is not referenced in the official Alien: Covenant plot synopsis and so we can assume that she is not active or even alive during the time Covenant takes place. However, we know Noomi Rapace did film scenes for Covenant and that her story is briefly explained. In the scene above, Daniels seems to discover dog tags, which could belong to Shaw. The background of the ship also seems damaged - so this could either be the Juggernaut's interior OR inside David's hideaway on the planet. Either way - clues to Shaw's fate are discovered. What exactly they reveal is still up in the air. As you can see in the screenshots above, this is clearly not the same Derelict space craft from Scott's original 1979 ALIEN. The Pilot's chair is empty - no fossilized Jockey. The environment of the ship's interior is also very clean looking and does not look at dated or worn out as the one discovered on LV-426. However, that's not to say it doesn't become the Derelict from ALIEN. As you can see - no mountains surround the Derelict like the Juggernaut in Alien: Covenant. Also, the environment is primarily rock, as opposed to the lush setting of Alien: Covenant's planet. There really only two scenarios which could lead to the Juggernaut becoming the Derelict in ALIEN. The following is pure speculation based on evidence currently at our disposal. For this scenario, the planet Covenant takes place on would need to go through a traumatic transformation (Black Goo nuke?) near the end of the film. The Jockey would need to be either David, or a member of the Covenant crew with an agenda as evil as David's, who is exposed to a Facehugger by someone trying to escape the planet (Daniels perhaps) as a means of stopping them from taking the Juggernaut to Earth. Like in Prometheus this could be a sequence of cat and mouse where Daniels or whoever manages to survive most of the film, attempts to escape back to the USCSS Covenant orbiting the planet but knows they're being tailed by whoever wishes to see Humanity burn. This scene could make for a nice homage to James Cameron's ALIENS, by having Daniels and maybe Walter escape back to the Covenant and decide that they should nuke the place from orbit, just to be sure their antagonist is dead and can't leave. They use some form of a nuke to drop on the planet's surface which sets off a chain reaction - turning the planet into a rocky wasteland (volcanic eruption) - which would account for the Jockey being fused with the chair - extreme heat - melting their suit to the chair. For this scenario, it would need to involve another Engineer who's managed to survive on Covenant, who again is awoken by one of the Covenant crew, against David's orders. This Engineer wakes up to find out what David has been up to and what he's done and attempts to stop him (as he is off back to the Covenant with Daniels) and tries to fire up another Juggernaut. But, David knowing this threat off-screen had planted a Facehugger on the sleeping Engineer and then kept him in a cryo chamber just in case he ever got out. The Engineer takes off, in pursuit of the Covenant which now houses Daniels and David (speculation), but as the Juggernaut the Engineer is in gets closer to the Covenant and is about to fire upon it - the gestating Alien bursts from its chest and forces the ship to crash on a nearby moon - LV-426. Beyond these two scenarios, I don't see how Alien: Covenant can explain coherently how the Derelict ended up on LV-426 with the screen time its been given. Of course, as I stated the above scenarios are pure speculation - but feel free to let me know your thoughts and theories in the comments below! Check back again soon for the next post in our Alien: Covenant Trailer Analysis series. What if this isn't even the same one from Prometheus? Great read Chris. I think that's an excellent theory, but hasn't it already been confirmed that the derelict had crashed prior to the events of Prometheus? Scenario 3: David uses the black goo to become an Engineer (didn't this happen to the android Eldon in the Fire and Stone comics) since he likes wearing their robes and all. Maybe his whole motive is to make him self a real boy one day. His experiments pay off, but can now be and does get infected by a facehugger and gives birth to the first bio-mechanical xeno that we know due to he himself being bio-mechanical now. Something along those lines anyways. Could also account for the Space Jockey's size difference in Alien and Prometheus. are you suggesting that David and Shaw went to another planet with the ship they got from lv-223 and picked up another ship from the engineers home planet (assuming the planet from alien covenant is lv-426)? Why can't the engineer in the original chair just be the victim of xenomorph nest-making? In Aliens, entire levels of the atmosphere processing station were caked with the ribbed goo the Aliens had made their nest out of. I always figured it helped to insulate the environment, keep it damp, and give them places to hide, and that they did it compulsively. The Space Jockey/ Engineer just looks to me like he's been cemented to the chair by a xenomorph rather than "fossilized." Daniels is the ship's terraformist. That is how this Eden becomes LV- 426. She terraforms the planet from space making it inhospitable and not uninhabitable. I think they are one in the same planet. The mystery is who is the space Jockey and did David set the beacon on that ship to attract others to come to the planet? Has it been going off all this time into the future Alien? Going this route however raises some Questions... it would go against..
*How old the Space Jockey looked. *What Ridley had over and over said about the Event... which his focus as of 2014 was that it happened within a few hundred years of the LV-223 Outbreak 2000 years ago. However... next i will make points that would suggest that this is NOT the Derelict or will become it. It feels a bit too generic.. and easy... like the set up for a Synthetic Construct Walter + Face Hugger = Xeno... it surely is logical but its a bit to obvious. Firstly i will start with how Ridley said there would be 3 movies starting with Alien Covenant before we get to Alien and the Space Jockey.... to hint this ship is the Derelict... where does TWO more sequels go... if they ignore the LV-223 connections and Engineers? Two Xeno flicks... then back to Paradise to discover the Juggernaught is now the Derelict? Ok here are some points that go against this.. again this are direct clues.. but some are maybe unintentional differences..
1) As stated in a few topics before and SM pointed out, the Derelict and Juggernaught are different sizes... one is more U Shape the other more C and the dimensions are different. One appears to be about 900 or So Meters (Juggernaught) the other 350 ish Meters (Derelict). 2) The Derelict does not have the Control Panel and Chair or Cryo-Sleep Pods. 3) Wayne Haag teased about Stolen or Found Technology.. this could mean the Black Goo or Sacrificial and not Engineers Re-Engineered the Derelict but its possible that is what was meant. 4) Janek said the Engineers would not build a Weapons Facility on their Doorstep.... LV-426 is on the Doorstep... now Ridley said the Derelict never got far.. which means LV-223 to LV-426 but then would the Engineers Homeworld be so close? 5) David was asked by Shaw when she found out the Engineers never came from LV-223, but Paradise.. if David could take her there.... David said indeed once he figures out the broad strokes he could take her there..... no need for that if David knew it was just the Moon Next Door. 6) The Synopsis suggests the Covenant finds Paradise on the Far side of the Galaxy.... but then Prometheus found LV-223 in the Darkest places of the Universe (this could mean Dark as in Sinister and not distance). 7) If Paradise is a bit close to LV-223 then surely the Covenant would detected Shaws SOS? Unless David stops it? 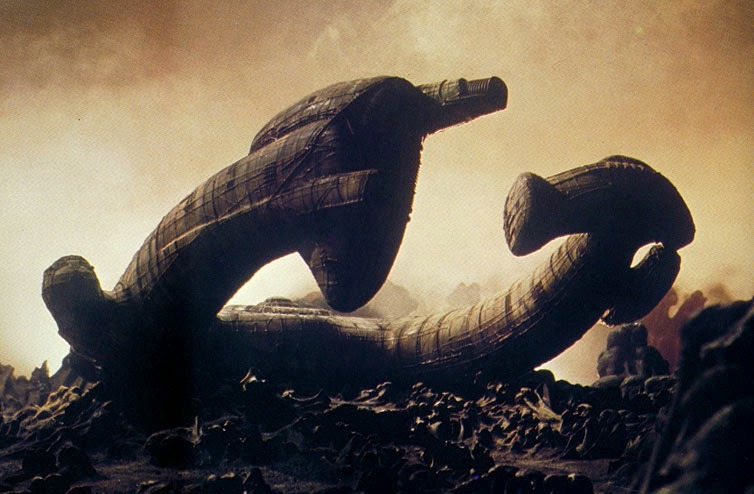 If Paradise is LV-426 some event would have to explain the destruction of both LV-426 and LV-223 so that nothing remains... but the Derelict... but surely if it survived... in a Derelict state so would the many more on LV-223? When Ridley Scott was working on a Alien Prequel... prior to Prometheus... at the time prior to AVP which put a stop to his plans.. He said that back then he always felt that LV-426 Acheron could have been Paradise, but Paradise has a way of being dark and sinister. The shot from AC that looks more like the Derelict interior and not the Juggernaught... could the Juggernaught had evolved or been changed to this? Is this shot from some place else? As far as the ship goes... and Crash. I would assume that the Derelict Crashed because of the Chest Buster Event... Ridley said it never crashed... but he meant it as in it was never a unplanned crash... the SJ had planned to set down and Quarantine the Cargo but he went through the Chest Buster sequence as he was landing. If he can take off in what looks like a Vertical Take Off... then surely the Ship can land the same.. This is like flying a Drone/Helicopter rather than a Plane/Glider. Why would he crash it... thats a big Question... the landing of the Juggernaught seems to be a decent like a Plane on its landing... why would David land like this into a Wood? I think the ship can land vertically and David would surely not plan to land it in a Forrest... so something had happened... What? Thats a Good Question. 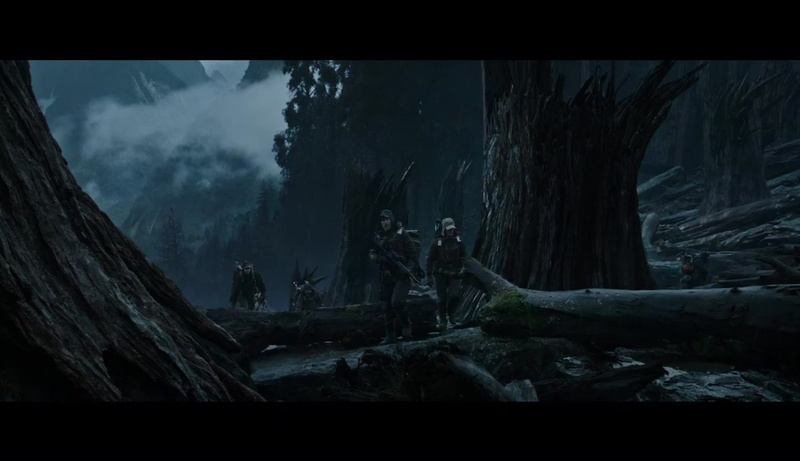 The shots we get of them entering a Cave, looks like its a Manufactured and not Natural formation... looks like either a Underground Bunker..
We need to be careful how we look at the Trailer and not assume scenes run directly chronologically, i have noticed a few differences for another Topic. I do however think the movie has clues in the trailers to set fans on a wild goose chase... its set up to give us Xenos, set up to forget the Engineers and Shaw... and tease at the Ship being the Derelict.. This is to go and hook Fans into seeing the movie, and i feel it would cover things more than meets the eye... i mean come on? a straight up Alien Prequel? Urns or experiments on them become the Eggs in Alien. No answers to LV-223 or Engineers? We have seen in Poster Xeno, we seen Eggs, saw in Trailer the Eggs and Face Hugger and the Juggernaught in a position similar to the Derelict? If its as straight forwards as that then we have had the movie spoiled in just those few shots and trailer... why TWO more movies after? I think they are keeping a lot back... the Xeno and Derelict clues are to draw fans in and lead us off the scent to a bigger Plot they wish to cover. Well, Since Daniels is the resident terraformer, perhaps she has access to a device that causes the planet to start all over again from the very beginning. Everything gets reset sans the Alien ship. It is designed to travel through interstellar space so there is a small probability that could happen. I believe that the original derelict ship is a different one. And didn't David say he knew how to get to the Engineers planet of origin in Prometheus? Seems more likely that they found it and it's a different planet altogether. Wasn't LV-426 a small primordial moon. Seems like the planet the Covenant is orbiting is a lot bigger. I'm also wondering if they mention the Prometheus expedition in any significant way. Shaw did leave a warning not to go to LV223 so if they are in the general neighborhood, they should have received the transmission she sent before heading out to "paradise". Heeding any warnings that the solar system Prometheus set out to explore might end up being a bad idea. In the middle section, it details a test of the effects of black goo on planet life. I then thought "wait, what planet/moon have I seen before where there is 'no indigenous life'"? So I went onto Mother and entered in "planet test 1alpha" (taken from 'planet_test_1alpha' on the infographic), and it gave back the response "LV-426". Dude! That's pretty specific. I say this because others have noted how even silly entries, such as "jurassic park", will still give you responses relating to Alien stuff, seemingly undermining what we can learn from Mother. But if you enter in just "park" or "jurassic" by themselves, you still get the same response. So it's likely reacting to something it thinks you're saying, something probably related to the Alien universe - not "jurassic park". If you type in "planet" or "test" by themselves, you get back "unable to compute". This experiment has convinced me that LV-426 is the "planet test" in question in that infographic. If that's the case, Engineers are still alive to be putzing around with the black goo at the time that LV-426 is made to look the way it is, not wiped out like they (ostensibly) are in Covenant. i doubt Terraforming is that Advanced... for Mankind. Daniels is a Terra-former and Gardner expert... they are off to find a new Home to Terra-form... when they are lead to and arrive at a World that needs NO-Terra-forming.. Which is when she would be used due to being Teraformer as her Character as opposed to Religious in Shaw... this would be used to explore the Teraforming connections with the Engineers. Something many Ancient Cultures and Religions speak of... a great Disaster to cleanse the World to then start a fresh. 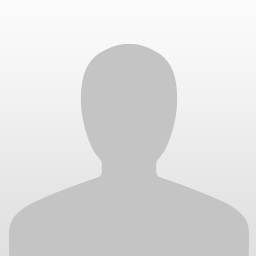 Could very well be all connected... i think they are putting more thought into the Viral sites now... and a lot of that MUTHUR site does collaborate with that Data File and also the information in the Alien Resource Weyland Files Book.. 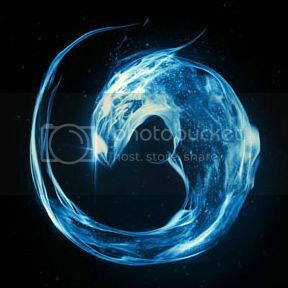 Try Planet Test 3 Gamma or a combination of terms.. like Gamma.... or Test 3 Gamma.. Indeed solid points.... i nice one i forgot to mention..
And yes David said there was many more..... and who knows what Temple they came from or what Cargo... but Ridley did hint it would be carrying Black Goo. But we dont know if this Black Goo is different a different Xeno strain? "Charlie Holloway mentions in the movie Prometheus that this planet has only one moon that can support life - LV223. 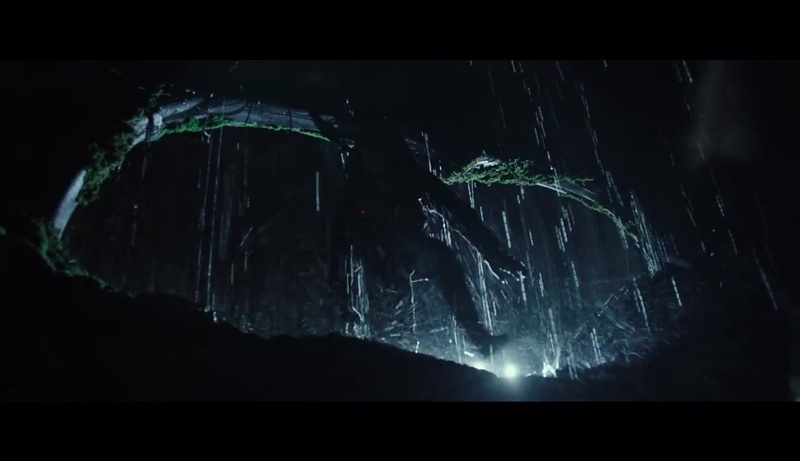 It is obvious that the planet in the new Alien Covenant trailer is not LV426." DALLAS: Alien life form . . . it looks like it's been dead a long time . . . fossilized. It looks likes it's grown out of the chair. Seems to me the only way to tie everything together 'neatly' is an Alien reboot as Ridley's next movie. It appears to be too many inconsistencies, too many rewrites from him changing his mind so often. I would love to see a CGI version of the Engineer in this chair. Same height and everything, with a plausible explanation as to what happened to it. That makes more sense to me. Just look at the size of it compared to the crew. What if we're all assuming an awful lot to satisfy our own needs? As the whole Alien saga is his baby, Ridley has license to change whatever he likes (including what *WE* consider and demand as cannon). Maybe he's already decided "Ah, to hell with it - Let's tie everything up with this movie... give the fans what they want". It'll free him up to work with Blomkamp on A5, which may fill in any gaps. We've already seen pre-production artworks showing the Derelict in a huge warehouse, so there's plenty of scope to enhance the back story. I'm not taking anything as read anymore, we can all speculate until we're blue in the face. From here on, we're in Ridley's hands as to what the true storyline will become, and if that includes changing the design/size of the Juggernaut/Derelict from something he did 40 years ago, then so be it. My thinking is that LV-426 and LV-223 are just planets relatively close to each other, and that the derelict juggernaut on LV-426 was one of the ships from LV-223 sent to destroy earth when they were going to do that, about 2000 years or so prior (according to the explanation in Prometheus) but its engineer pilot got facehugged/chestbursted like all but one of the other Engineers on LV-223 shortly into his flight and crashed onto nearby LV-426, resulting in what the crew of the Nostromo found. 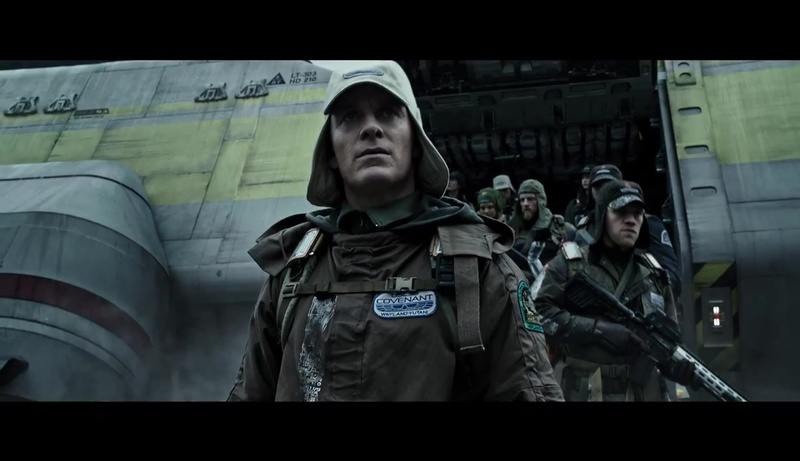 The Weyland-Yutani Corp, in its infinite wisdom, probably received some signal from David and secretly diverted the Covenant to detour and go check it out, since they were headed somewhere apparently way far out there to colonize some planet anyway. i doubt this planet is or will become LV-426 - that would be an "astronomical" coincidence, since space is so incredibly vast, but it is just a fictional movie after all, so stranger things have happened I guess. Shaw and David Depart LV-223 in search of the engineer home world. They Discover a planet and the ship performs a rough landing. Weyland may only know of the system found in the cave paintings, and are likely on a moon close to LV-223, or are charting the local solar system. 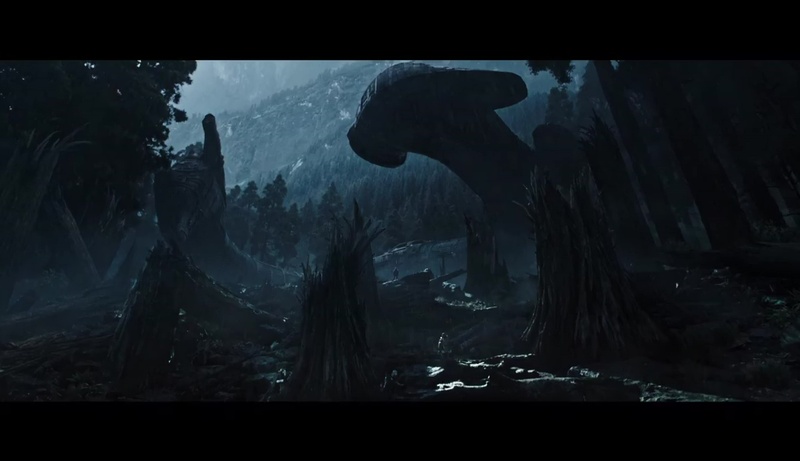 Covenant departs to a planet which features many visual atmospheric characteristics as LV-426 with certain clearings featuring vegetation and life. The smaller exploration ship lands, the crew departs and begins their journey. 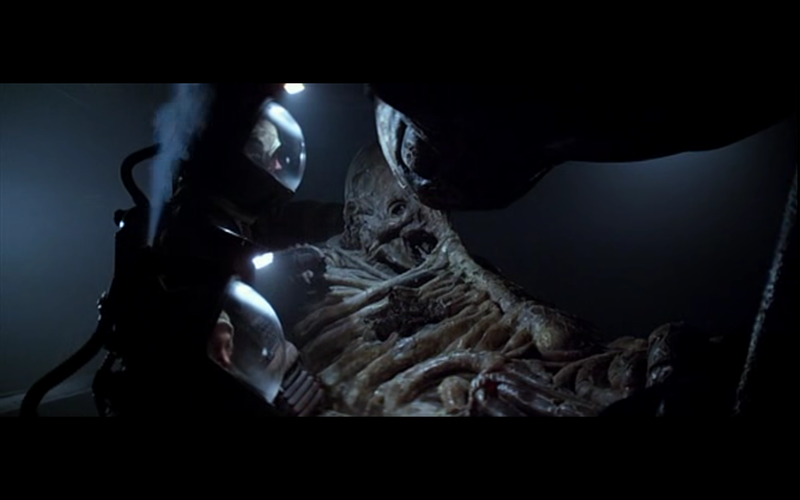 Crew gets back to the smaller ship and most certainly returns to the larger COVENANT and the infection starts its evolution process resulting in the birth of 2-3 neomorphs, and 1 alien. 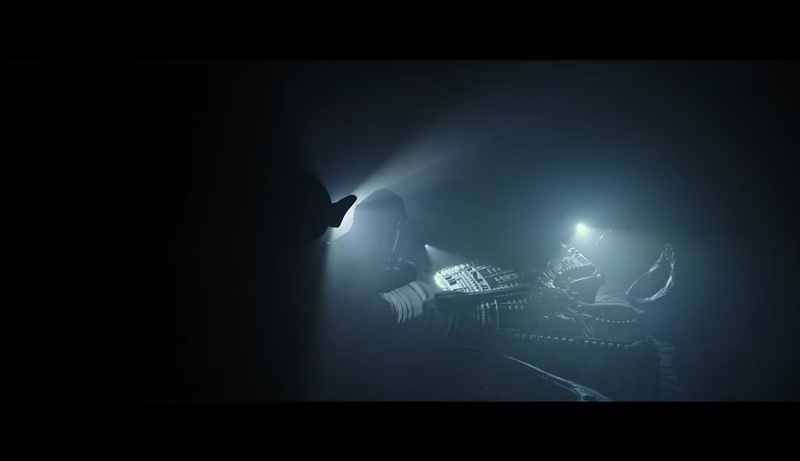 Based on the shower scene its likely the Alien arrives before the neomorphs, and is initially not perceived as a threat due to its small size at birth, assuming they are aware it was ever born. The Covenant becomes infected with multiple aliens, maybe even damaged causing the remaining crew Daniels, The women who lock the two in, and the captain to use the smaller vessel to return back on that same planet. 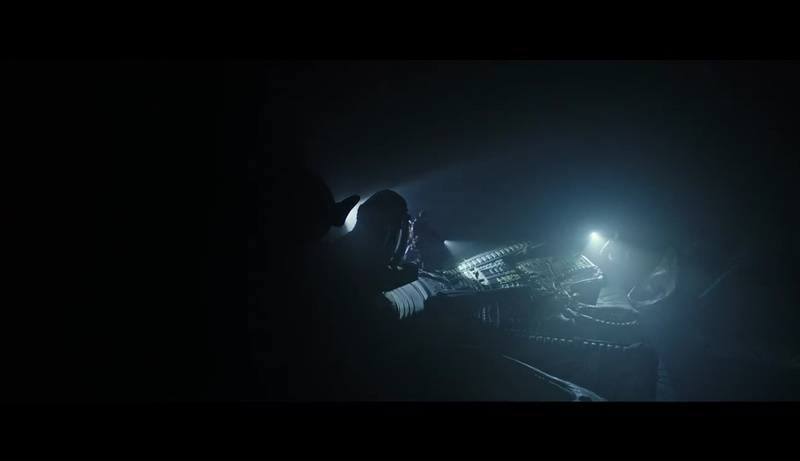 A neomorph is on Board and can be seen in the trailer just before the explosion as the women attempts to kill the neomorph she blows the ship thus ending their ability to leave the planet. David is not associating with the covenant crew and has been sabotaging the covenants plans. David most certainly created the spores, and possibly using shaws DNA and canisters has created a small experimental egg chamber. He certainly has become a creater, and is exercising his skills as a creationist on the covenant crew. One of the final confrontations will likely involve Daniels and David. 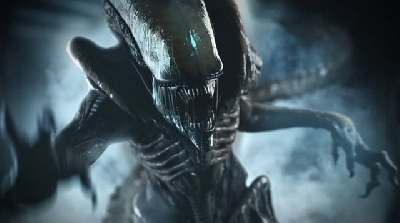 ** Remember Ridley said this movies would take a step back from the Jesus concept and would be more of a horror film and more like the original alien, when you read my story and analyze the evidence you see the parallels and this most certainly is what Alien Covenant is going to be about. Just because the original alien derelict does not have a seat or stasis pods does not mean it is a different ship and will likely be an inconsistency between the prequels and alien. 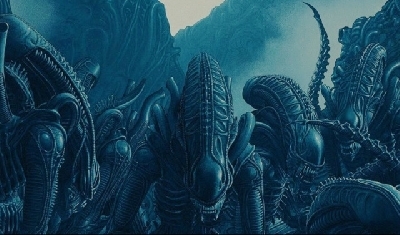 They could have the ability to hide under the platform but i think its likely added for the purpose of storytelling and whenever we discover the alien derelict they will have chairs and stasis pods, but the original alien wont unless he digitally adds them in, or makes them disappear in the last movie. *Things we should not overlook. Based on the chard bodies of what appear to be the space jockeys fighting, its likely this planet has already seen a catastrophe and their maybe another. Based on the chard fighting bodies, and early Prometheus concept art which showed the space jockey being much larger, even the suit looking more accurate in scope and scale to the jockey in alien. These deliberate changes are strong evidence supporting the idea their are most certainly more then 1 species of engineer. In Prometheus when they where in the room with the big head, it is deliberately stated engineers worshiped whoever the big head is, and i think its likely the big head is our fossilized jockey in alien. ** My interpretation is that planet is most certainly LV-426, and certain clues makes it fit the bills. The ships position is identical to what we see on 426, eggs are present, and David is definitely the creator, or partial creator of the alien. The Mountains and vegetation are designed to throw you off, unlike in Prometheus Shaw needed a rope to climb into the juggernaut but the steep slope that allows the crew to walk right up into the derelict is another strong clew this is the not just any juggernaut but the derelict itself. I also think that planet has more then just eggs aliens and spores on it, and we will discover more about it in the sequel. 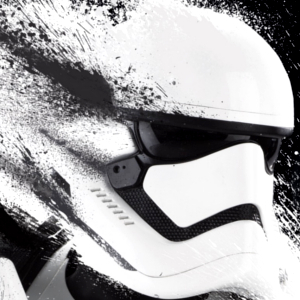 With even the most gigantic leaps of the imagination, this is not the same place or the same ship, I am warming to the film now but I cant really see a way of gluing the trilogy to the original in any type of linear fashion. Perhaps, they could stick and engineer suit on John Hurt and he could jump out of an egg singing "surprise, surprise, look at this, isn't it nice" or something . . .
you are exactly right....it will be interesting to see how it's eventually tied into Alien (1979) considering the time lines. If they do I would think they would have to dive deep into the engineers history/story line. Maybe that's why it's going to take 1 or 2 more films to follow it up. Indeed Ridley wants to tell the tale how he wishes and how he sees fit, a lot may have evolved from how he would have explored this things many many years ago.. and so If Ridley wants to change things.. thats what he can do.. but he would also have to pass it by FOX first. If Fox wanted to have the Black Goo stolen from the Predators.. then well Ridley would have to agree.. or simply walk away and let Fox get someone else.. as Bottom Line FOX have the Final Say... but lucky for us i think they are giving Ridley Scott more free reign this time. Interesting theory.... i think in some part indeed, others i think the trailers seem to be showing us some things... but some of your points could be close to being on the money..
surely its not Pot luck the Covenant happens to be so close to Paradise to then get re-directed.... or even worse.. pot luck ends up at the same place. I will latter give my two cents to what i think is going on as far as broad strokes. There's no way it's LV-426. 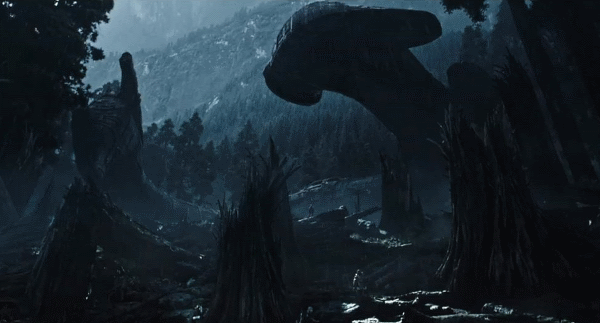 And I don't see how anyone can look at a picture of this crash from covenant, and the Derelict from Alien side-by-side and deam they are "identical".... this looks like it's crashed into the side of a mountain, and in Alien it was a flat horizon. Connecting it, saying it is LV-426, is the biggest stetch ever. 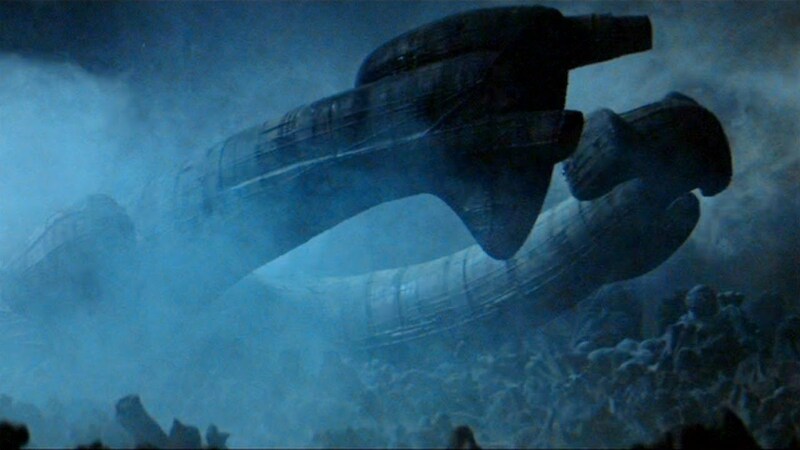 The whole deal with Prometheus was showing that this race of Engineers had multiple ships, and that it was one like the one in Alien, but wasn't the one in Alien. 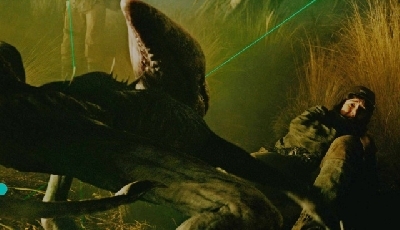 LV-426 is its own landing sight from its own seperate incident. Not directly involved in this movie. 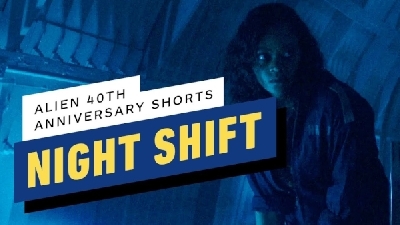 Maybe the sequel brings it to LV-426, but we aren't there in this movie. But not How the Xeno WAS created in Alien. They did not know how to Brew a Beer... or Make Wine... but then one day they found clues left from the now destroyed remains of Mankind... and in it enough clues to then allow them to experiment and create Wine or Beer. They would not have invented Beer or Wine... but merely Re-created..
Great topic because it reminds us of how little we know other than this is an A L I E N movie. Several things I would reinforce, add bearing in mind I have not seen the trailer. The stills you have offered of the "entrance" and the "tags" may not belong with the Orrery sequence. They arrive at the Juggernaut in light and the camera is looking up into pitch black and that opening does not represent the shape of the Juggernauts seen previously. The Orrery looks dark but in all other respects in good order which suggests that the Juggernaut may be in good shape even if it has flattened a few trees in the run in. Daniels is here whereas she isn't in that opening shot and she is wearing exactly the same out fit as in her before the temple shot. The dog tags maybe within Davids rooms in the temple. If Shaw is incapacitated the appearance of the dog tags may come just prior to the horrific revelation of what has become of "her". Why show the juggernaut in the trailer. Its a banner for the franchise however. 1) The synopsis of the movie has changed to the next chapter that could mean anything. 2) ADF is writing a concurrent sequel to AC for release at the same time. This might encourage one to think that as filming went forward the decision was taken to wrap up this phase of the movies given age and A5. We have the full life cycle, why biomechanoid will be answered quite possibly a serviceable Juggernaut. The narrative may offer a fork in the road where the Jockey is put to bed and post A5 they can go elsewhere. I understand Rogue 1 is a prequel and sits between 7 and 8 in terms of presentation but 3 and 4 in terms of story so if it works there at an audience level why not. If Daniels the terra former has a more general interest in Engineer technology and the Green Crystal element then to put the Jockey too bed now makes sense. Focusing on the A L I E N, as in the X121, for another prequel after A 5 seems a stretch to me and all that the Jockey revelation will do is ....tell us who the Jockey is. We know why, where, what happened .we just do not know who. Many have rightly talked of inconsistency of sizes etc etc. That will be a casualty of story telling ..if necessary but it will not be allowed to run the story. All good points. Forced perspective, Child stand-ins (Lord of the Rings/Hobbit) and a host of other CGI/Practical illusions could bring that Jockey to life. After all, the Na'vi, of Avatar were 10-foot tall. I'd giggle with glee to see that. Keep in mind often times trailers contain scenes or footage that never makes it into the actual film, it happens all the time and in fact was in play in some of the Prometheus trailers. I think it is a sly way to show to much without showing to much if no what I'm saying. "The Jockey would need to be either David"
The Xenomorph is most likely the result of fused android/engineer DNA. So theoretically, could the Xeno also consider andriods potential hosts? The Space Jockey in ALIEN was chest-bursted, after all. Then again... if andriods are also potential hosts, then why didn't the Xeno in ALIEN also attack Ash? "or a member of the Covenant crew with an agenda as evil as David's"
Another Burke! Love this idea. Great topic, but maybe you guys can help me figure something out. The spores seem very "simplistic" while the eggs are much more sophisticated. It's like two pieces of similar technology sitting side-by-side, but one is generations ahead. Why not just have the spores? Why the eggs too? "Black Goo Nuke" - This is epic Chis! In fact, it's probably what happened to the Engineer planet. Every single living thing on it has some form of Black Goo DNA running through it- yikes! Really cool ideas and discussions! To me, in the AC trailer it looks like what Daniels is holding and looking at on the chain in the crashed derelict isn't dogtags, but Shaw's display card that had the dna analysis from Prometheus - granted, it wasn't shown on a chain in Prometheus (just her cross) but its about the right size and seems translucent in the trailer. I can possibly buy the LV-426 theory with Scenario 1. The similar impact angle the juggernaut shares with the derelict is intriguing, if these turn out to be same ship I'd be less concerned about the design differences as the Engineer suit wasn't the same as the Space Jockey either. What doesn't really hold up here is the surrounding environment that looks very different from the harsh, dark and barren surface of LV-426. Present time scientifically speaking, a fission device may scrap away flora and fauna but will unlikely remove that huge mountain behind the juggernaut that was unseen in Alien. Also, there's no fossilised Jockey. 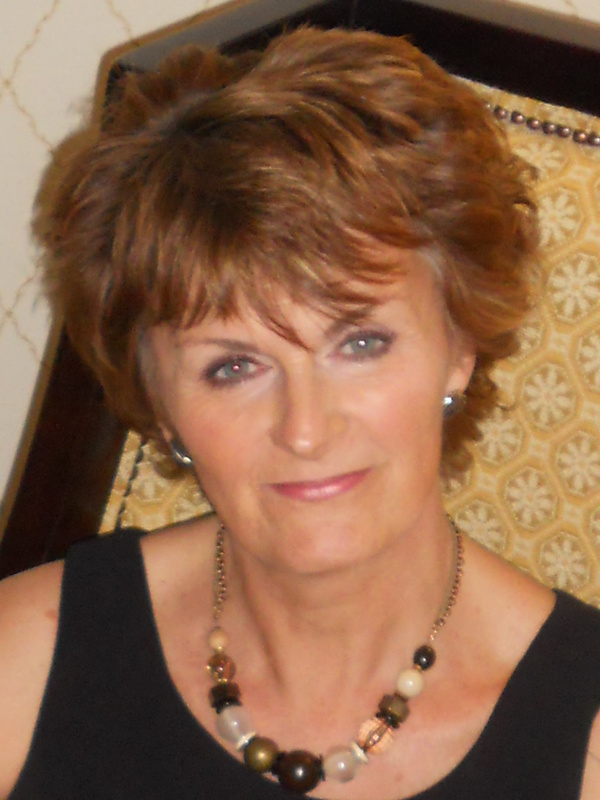 Hi guys, I'm new on here but have regularly popped in to read some posts and conversations over the years and keep up to date with news. Of course as of now most of what we're saying is speculation as we just don't know what Ridley has in store for us with covenant or it's sequels. However I just can't see David being anything other than the creator of some of the various xenomorphs we are about to see, let alone him becoming a Jockey. 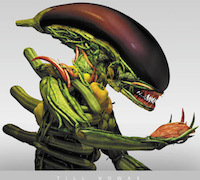 As for how does the alien become bio mechanical (unlike the protomorph in Covenant) rumored. isn't this just a result of it taking traits from it's host in this case an engineer with his suit fused into his skin as in Prometheus, unlike the sacrificial one? Always looked at the Xeno body and wondered about the way it looks especially the long bone like rods protruding from the back. When I seen an engineer though I thought this matched perfectly. The engineer has ports on the back of his suit that would line up with Xeno back rods perfectly. Possibly oxygen ports for breathing whilst in flight? Therefore the Xeno actually took part of the chair as well as it was connected to the engineer. Also in Alien they said the Jockey looked fossilized like it was there for a very long time and also fused to the chair however we do not know how quickly their bodies breaks down as they are aliens plus in Prometheus the jockey suit is or appears to be part of the chair already. Finally I do not believe the jockey and the engineer are the same being I believe the engineers stole fire from the gods meaning the Jockeys and tried to replicate there weapon (Xeno) to possibly kill their creators for whatever reason although they could not perfect this hence the artificial eggs (Vases) and the Deacon was the closest they could get. Knowing they would need an army of these a perfect planet of hosts was picked (Earth) until the events 2000 years before Prometheus halted the plan. What happened there is something I hope we see in the future, sabotage or accident I highly doubt the latter as we can clearly hear a Deacon screech. My post may be little long however so much to talk about.